EcoCard is the virtual debit card. It is an alternative payment method providing top-notch security and privacy while gambling online. Founded in 1998, ECOcard Ltd. is located in Luxembourg at present. The ECOcard has pretty much the same functions as a regular debit card has but with added security, privacy and the convenience for all online transactions. After signing for the ECOcard, a player has a 24/7 access the account via secure connection. The information on the ECOcard can be easily found on the online casino banking page if it accepts this kind of payment. In its turn, the ECOcard banking interface provides a player with full information about his/her account, including history of payment and constantly updated balances. The main benefit of the ECOcard payment method is that it is not necessary for player to reveal the banking information. It shows a high level of security. ECOcards can be funded with the help of Wire Transfers, Money Grams, Western Union or via a European bank account or direct deposits from a player bank. 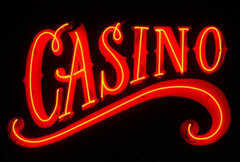 What is more, it can be used in a wide range of casinos worldwide. One more advantage of this payment method is that sign-up procedure is very simple and clear: a player just needs to log on to the company's web. What can be easier? Besides of simplicity, the registration is free and requires no additional fees. Depositing and money withdrawal are also simple procedures. One should just log into its EcoCard account then go to the Deposit or Withdrawal section. The withdrawal process is a bit different as it usually takes up to 5 business days to get the needed money. The abovementioned benefits are not last in the ECOcard offer list. EcoCard is expanding rapidly and the number of its users is constantly rising, that is why it offers the multi-language support and accepts a wide range of currencies. The key to success in the e-gaming business is security and the highly experienced members of EcoCard team ensure secure servers, which were done using sophisticated Cryptologic software. All systems are supported by secure connection means (SSL, TLS) and this can guarantee safety, total privacy and completely anonymous transactions. In spite of all abovementioned advantages, the ECOcard payment method has its inconveniences. The first one concerns the US gamblers, as this method is not available for them. Players depositing to their EcoCard, can be charged a certain fee. Moreover, the withdrawals are no free too. When using wire transfer, a player will be charged $10, which is not bad, as bank checks require $25 charge. In addition to expensiveness, bank check withdrawals are available only to users from Italy and the UK.